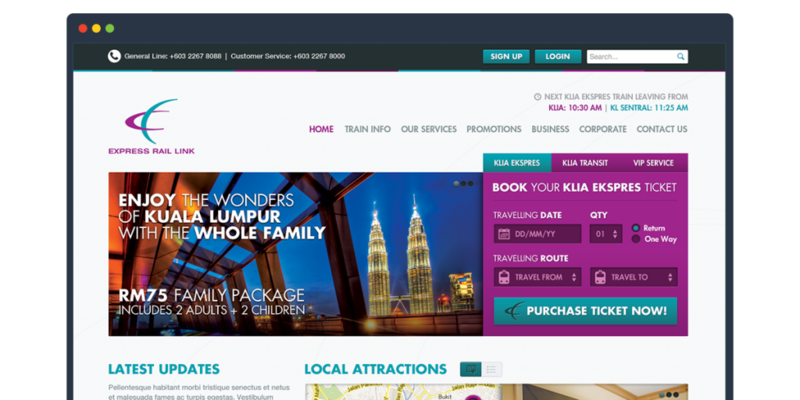 ElephantKat Studios and Motiofixo teamed up circa 2012 to pitch for KLIA Express Rail Link’s website redesign. At that time, the website needed a major facelift, although the latest one they have right now is not that bad. I came up with basically the homepage design and also a simple flow of how users would be able to buy the tickets online. Taking references from existing websites with online ticketing which are normally airlines such as Air Asia, KLM, MAS, Virgin to a name a few, I decided to go with the idea to emphasize the online ticketing module on the homepage as the main call to action for users. 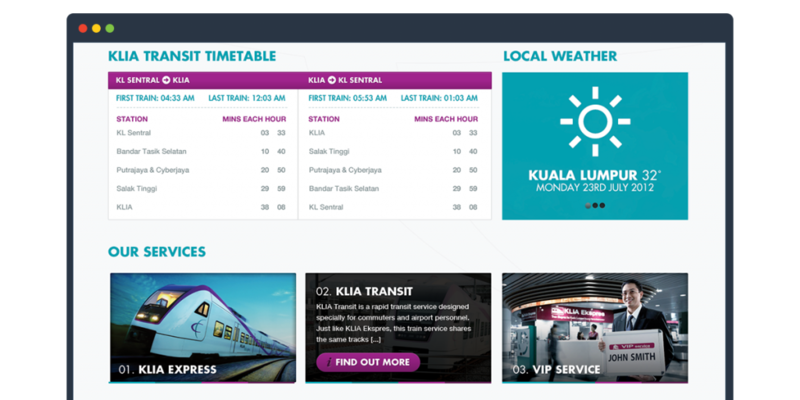 Since the demographics of the visitors are mainly tourists, who would visit the website from their native country before arriving in Malaysia, the homepage was going to be used to promote local attractions, latest news about the country and information on the weather, ERL’s timetable and its core services. In order to create a seamless and intuitive user experience for the users, purchasing the tickets should be a breeze. It consists of a simple 3 step process where users will first select the ticket type, date of travel and the number of people travelling, entering the passenger details and finally confirmation and the payment of the tickets. All of this process is done through a modal window UI with an indicator on which step the user is currently on. The unique colour scheme really added a bit more life to the simple and minimalistic approach that was taken in the design.